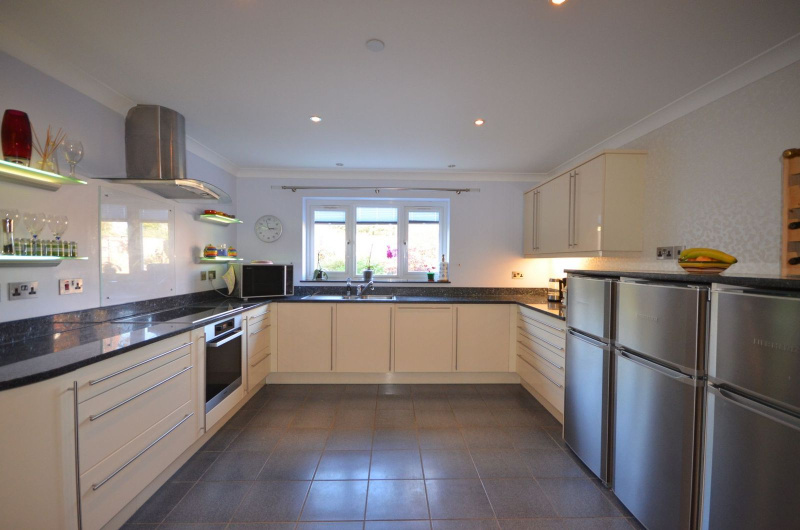 Set in a beautiful location, this detached family home offers spacious living accommodation throughout. 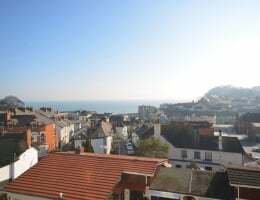 Finished to an extremely high quality, enjoying a predominantly level plot and with a pleasant outlook towards the coastline. 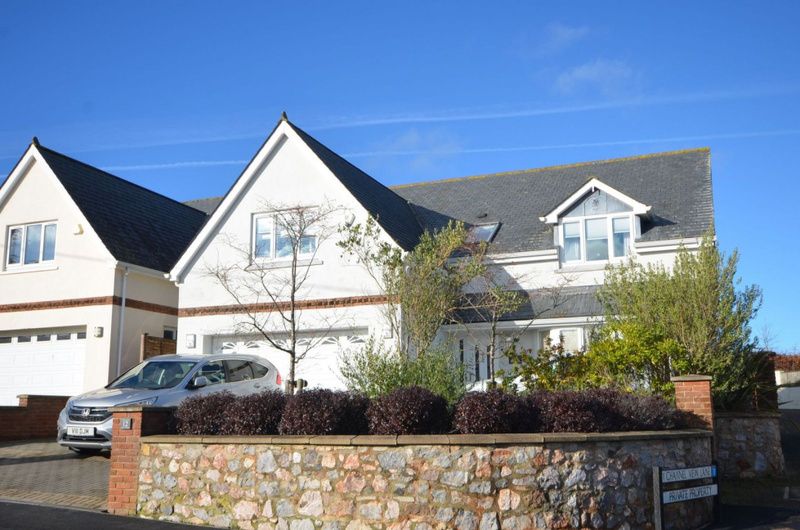 EPC - C.
LOCATION : Holcombe Village is located between the coastal resorts of Teignmouth and Dawlish and benefits from a Parish Church, Public House and village shop, and is surrounded by beautiful Devon countryside. The subject property enjoys an outlook over neighbouring properties to the rural fields and coastline and also enjoys a predominantly level plot. Both Teignmouth and Dawlish offer a comprehensive range of shops, professional services and recreational facilities whilst Exeter, the county town, also adds to this with an impressive array of shopping and leisure facilities, the university and cathedral. There are main line railway connections at both Teignmouth and Dawlish, and Exeter also offers an international airport and the closest link to the M5 motorway. 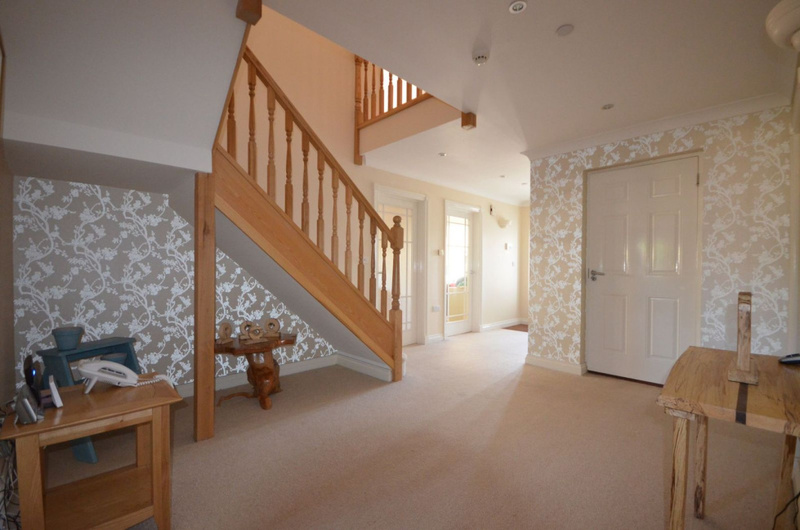 SPACIOUS RECEPTION HALL: : Stairs rising to first floor landing, coving, two ceiling light points, telephone point, under floor heating thermostat, courtesy door to garage. Doors off to principal rooms. 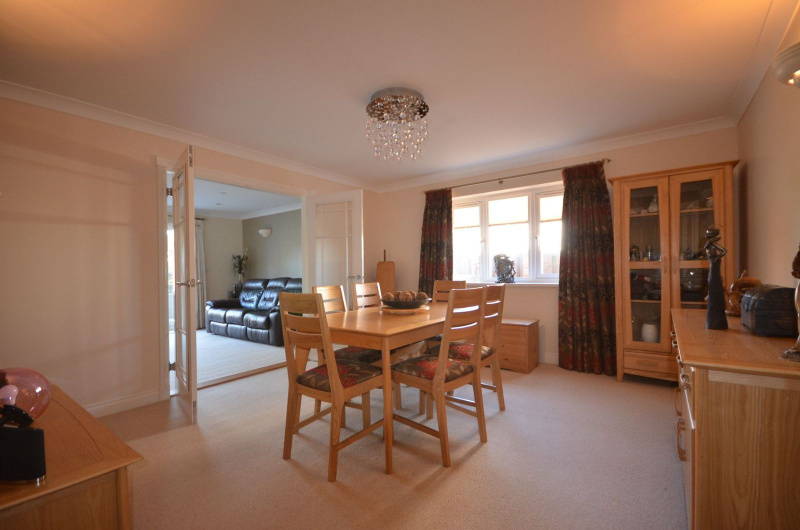 DINING ROOM: : 4.22m x 4.03m (13'10" x 13'3") , uPVC double glazed window to side, TV point, central ceiling light point, coving, two wall light points, under floor heating thermostat. 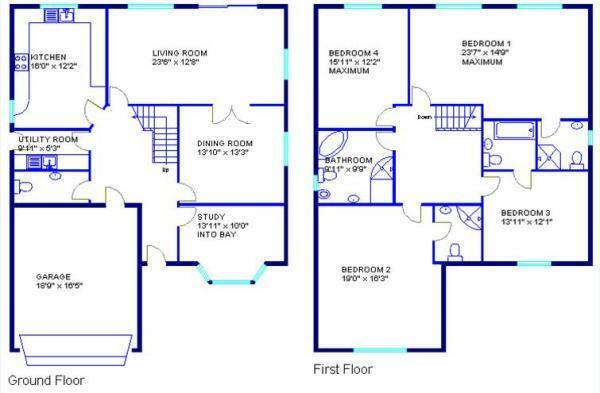 STUDY: : 4.23m x 3.05m INTO BAY (13'11" x 10'0") , Elegant walk in bay window to front with uPVC double glazed units, coving, wall light point, under floor heating thermostat, TV point. KITCHEN: : 4.88m x 3.71m (16'0" x 12'2") , Beautifully styled cream and granite kitchen with an array of features including an electric double oven, induction hob with stainless steel and glass extractor hood over, glass splash back, feature illuminated shelving, one and a half bowl stainless steel sink drainer unit with mixer tap and hydro tap attachment, integrated dishwasher, soft close doors and drawers, TV point, matching granite up-stand, coving, down lighters, wall light point, uPVC double glazed window overlooking rear garden, obscure glazed window to side. Door through to. UTILITY ROOM: : 3.03m x 1.59m (9'11" x 5'3") , Continuation of cream fronted wall and base units, rolled edge work surface over, space and plumbing for washing machine, space for tumble dryer. Complementary wall tiling, coving, extractor vent, ceiling light point. CLOAKROOM: : A highly stylish, modern suite comprising close coupled WC and wall hung Roca hand basin with wall inset taps. uPVC double glazed obscure glass window to side, half height ceramic wall tiling, coving, ceiling light. 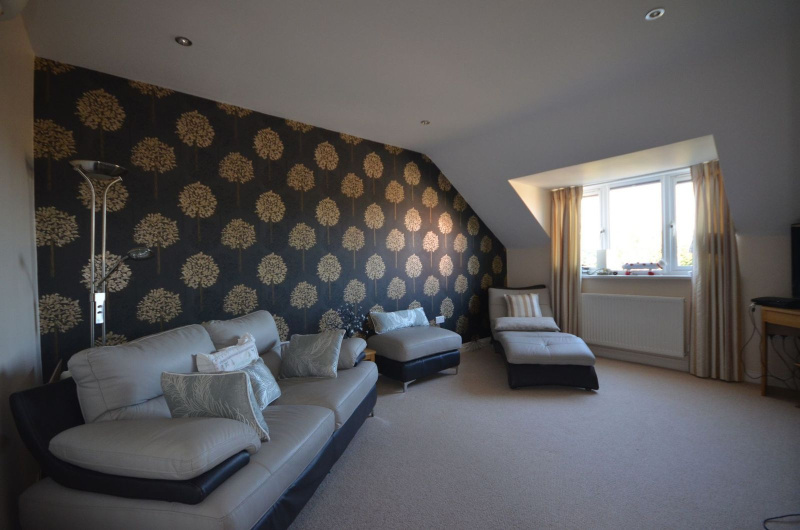 FIRST FLOOR LANDING: : Access to roof space, coving, radiator, ceiling light, 3 wall light points, airing cupboard housing hot water cylinder, slatted shelving. 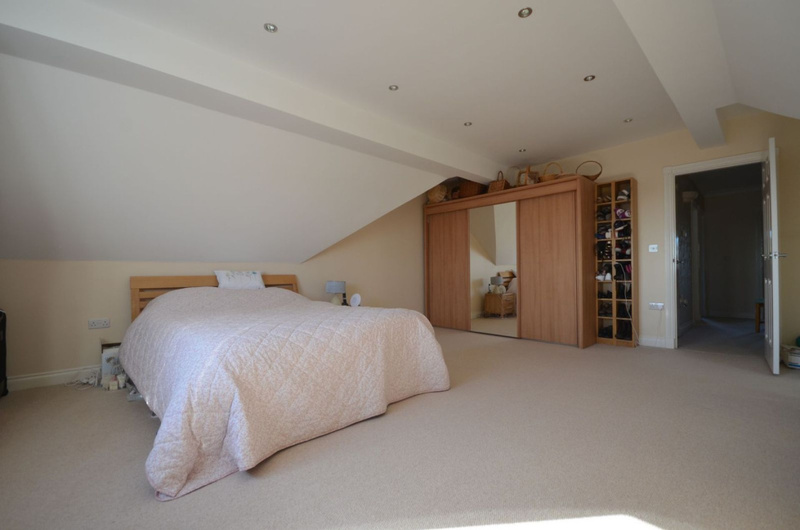 BEDROOM 1: : 7.17m x 4.50m narrowing to 3.87m (23'6" x 14'9" narrowing to 12'8") , Particularly generous master bedroom with two uPVC double glazed windows overlooking rear garden, two radiators, ceiling lights, 2 wall light points, TV point, door through to. 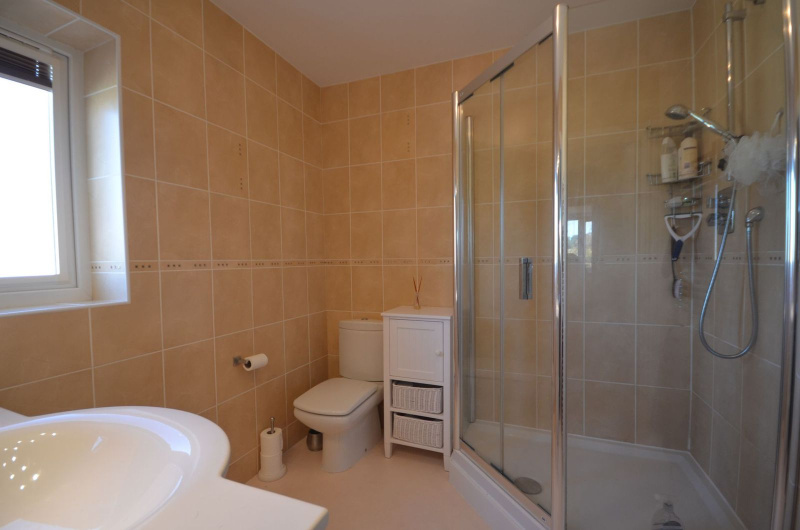 EN-SUITE SHOWER ROOM: : Having large corner entry glazed Matki shower cubicle with thermostatic mixer shower, close coupled WC, hand basin set into stylish vanity unit with mirror, light and shaver point. Extractor vent, uPVC double glazed obscure glass window to side, ceramic wall tiling to each wall, chrome ladder rail/radiator. BEDROOM 2: : 5.80m x 4.96m (19'0" x 16'3") , uPVC double glazed window to front with elevated outlook over neighbouring properties to rural farmland and out to sea, radiator, TV point, central ceiling light, door to. EN-SUITE SHOWER ROOM: : Corner entry quadrant glazed shower cubicle with thermostatic mixer shower, Roca deep bowl basin set onto glass top vanity unit with mixer tap and mirror over, wall light point, shaver point, concealed cistern WC, ceramic wall tiling to each wall, extractor vent, velux skylight window to front, chrome ladder rail radiator. BEDROOM 3: : 4.23m x 3.69m (13'11" x 12'1") , uPVC double glazed window to front with elevated outlook over neighbouring properties to rural farmland and out to sea, radiator, central ceiling light, TV point. Door to. 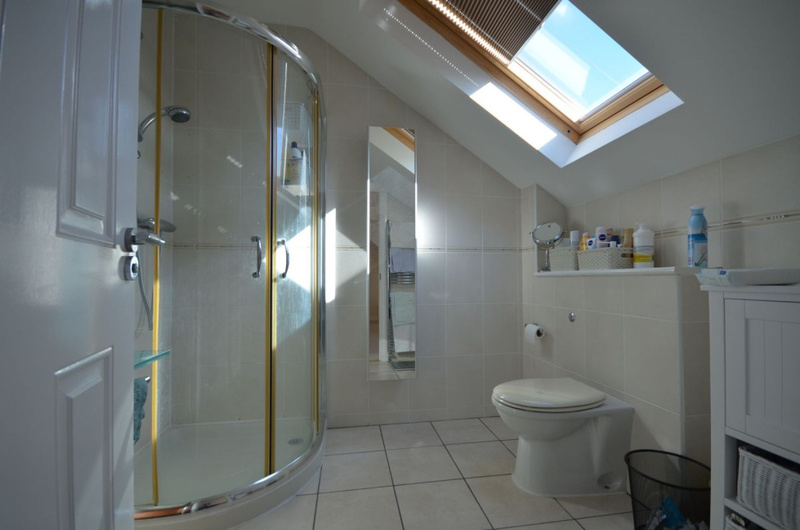 EN-SUITE BATHROOM: : Bath, wall hung hand basin, concealed cistern WC, ceramic wall tiling to each wall, extractor vent, illuminated bathroom mirror, shaver point, chrome ladder rail radiator. 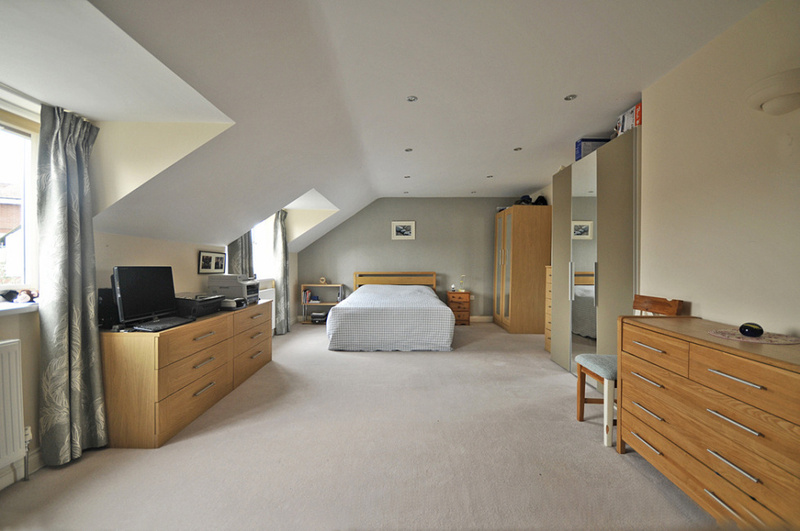 BEDROOM 4: : 4.86m x 3.70m (15'11" x 12'2") , uPVC double glazed window to rear, radiator, TV point, 1 wall light point. FAMILY BATHROOM: : 3.02m max x 2.97m (9'11" max x 9'9") , Another fine fully equipped white bathroom suite comprising corner Spa bath, corner glazed shower cubicle completer with body jets shower, wall hung wash hand basin, bidet and WC; uPVC double glazed obscure glazed window to side, fully tiled walls, chrome ladder rail/radiator. 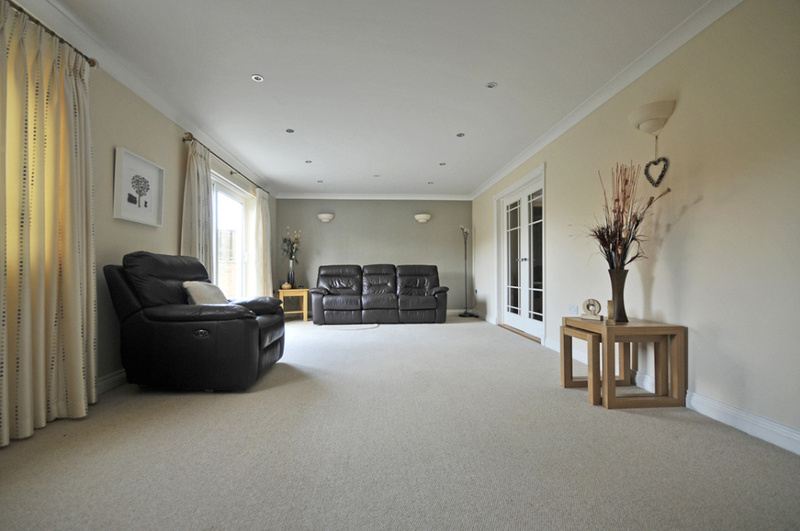 OUTSIDE: : To the front the property is approached over a double width brick paved driveway with parking for 2 plus vehicles, which gives access to the INTEGRAL GARAGE. Modern Paved footpaths then give access to the front door and up both sides of the property to the rear garden. 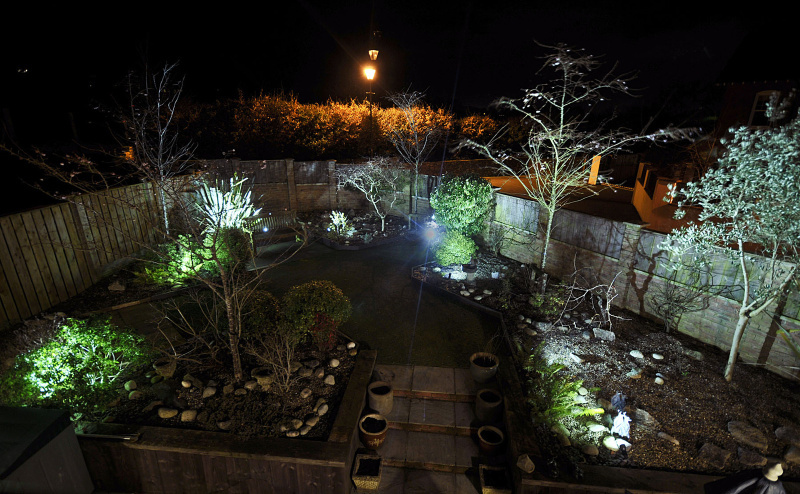 The front garden has been landscaped with established plants, trees and shrubs with decorative shingle and stones. 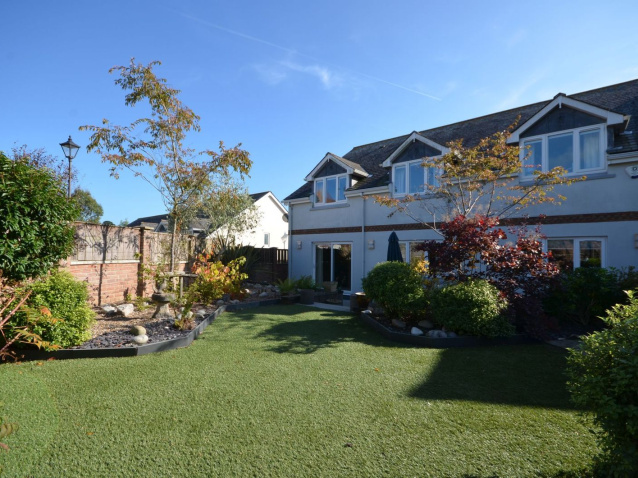 The rear garden is an attractive feature of this property having a large expanse of modern paved patio adjacent to the rear of the house and a slightly raised landscaped garden enclosed by a timber clad wall and fencing. 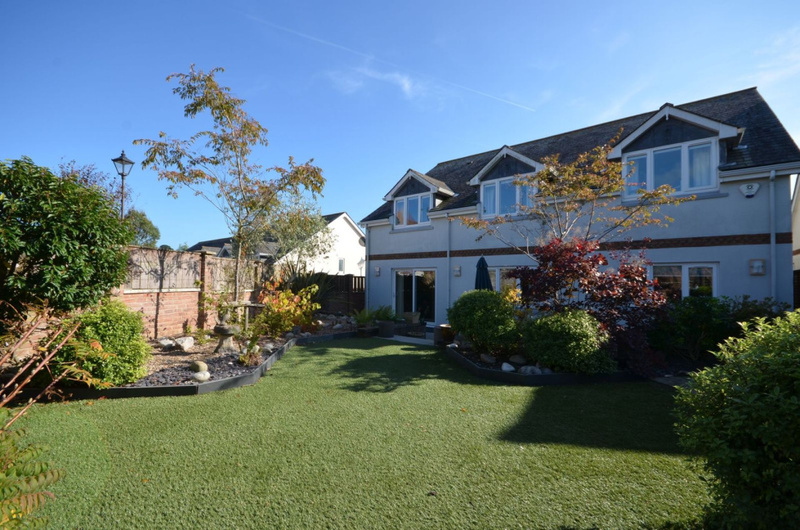 The main part of the garden has again been landscaped for ease of maintenance with established plants, trees, shrubs, outside power supply and cold water tap. DOUBLE GARAGE: : 5.71m x 5.00m (18'9" x 16'5") , Electrically operated up and over remote control door, uPVC double glazed window to side, pedestrian courtesy door to entrance hall, power, light, wall hung gas central heating boiler and time controls.